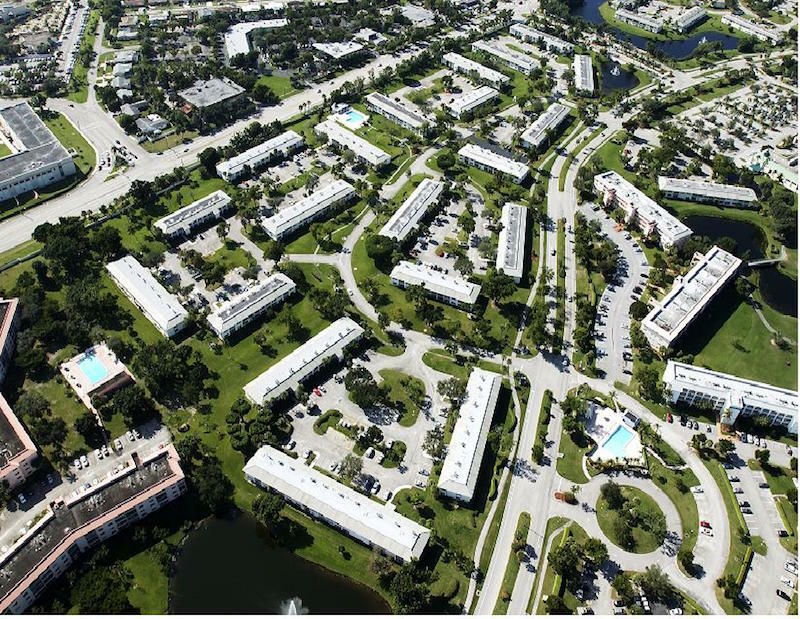 Right before South Florida was hit by Hurricane Wilma in late 2005 PSI Roofing was in the middle of the replacement of flat and sloped roofs of 18 buildings at Bahama Village, a Wynmoor Community association. Despite the overwhelming workload created by the storm and the unfortunate delays caused by the vast demand of the market, PSI was able to continue the pace and fulfil its contractual requirements to complete the entire project. In this project, PSI installed a new GAF Modified roof system and upgraded all the HVAC and Electrical components on the commercial roof top units bringing all the equipment up to current Florida Building Code. In the sloped section, PSI installed an Entegra Tile Flat Bermuda giving a charming look to all roof mansards. The improvements on the roof generated a “buzz” within the community and PSI was then contracted to perform more roofing projects for Victoria Circle, Granada and Martinique Associations.